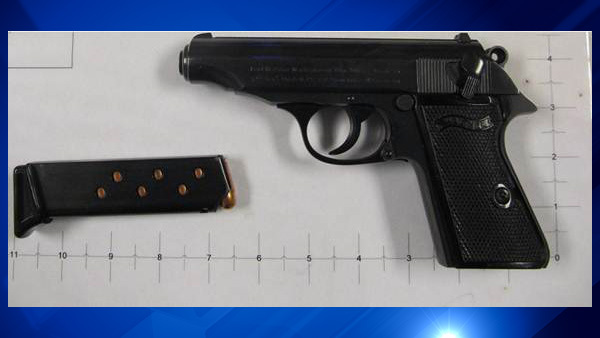 CHICAGO (WLS) -- A loaded 9 mm Walther firearm was discovered in the carry-on luggage of Faith Du Bois, a 58-year-old woman at Midway Airport, Transportation Security Administration (TSA) officials said. Du Bois was flying from Midway to Southwest Florida International Airport on Sunday, officials said. She was taken into custody and charged by local police. Police say no one was injured in the incident and Du Bois faces a felony charge of boarding an aircraft with a weapon. TSA officials said this is the third firearm found in carry-on luggage at Midway so far this year. Six firearms were discovered at Midway in 2014.